fiyo.co.uk understands how annoying it can be if you're all ready to get stuck in with the gardening, and you discover your chainsaw is broken, or can't do the job you really need it for at that moment. Needless to say, when all you want to do is get to work but something small stands in your way, the frustration can be unbearable. 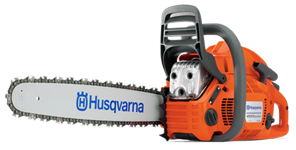 This is why we stock a wide range of spare and replacement parts, accessories and more for your chainsaw. After all, this wonderful power tool deserves a lot of love. Make sure you check out our product range and enhance your favourite garden tool to get those jobs done.